For those of you who follow me on Instagram (@thegymmedic) you have probably seen I have just been away in Dubai, for those of you who don’t, click FOLLOW for LOTS more content! In Dubai we did yoga, gym sessions, and a lot of running up to water slides – that counts as fitness right? But it got me thinking…What’s the best strategy to keep feeling fit and healthy on holiday this summer? Here are my TIPS! Use the facilities & take your own! I ALWAYS check out the hotel and local facilities before I go away. It means you know what you are dealing with and can plan other work out options even if there is no equipment. I love brisk walks on the beach, body weight HIIT in any space you can find, sprints and even take your resistance bands to make up my own workouts (Mine were £7.99 from Starwood Sports, Amazon and they are great). For me holidays aren’t all about lie ins, I want to get out and about to explore. By setting an alarm half an hour earlier, I work out before I’ve even properly woken up…AND you have breakfast to look forward to! Have a few days off: Be kind to yourself, a couple of days just walking around or even lying on the beach is FINE, you’ve earned it! Try and perhaps incorporate a stretch session into these days if you can, as often this is something we all forget to do. (I will post my normal rest and rehab session soon, so you can use it as a basis if you are unsure what to do). Uh Oh. Gotta admit it a lot of the fitness obsessed on twitter are completely T-total. Eeek, dare I admit it, that is not me! I like to have a GnT every now and then, sue me. Obviously alcohol does have negative impacts if consumed in excess but just keep a tally on what you are drinking, don’t just free pour your spirits! Furthermore if you are trying to get down to a healthy weight, cutting out alcohol temporarily at least can omit a lot of empty calories. When drinking alcohol on holiday, make sure you top up with lots of water. Otherwise like me you might end up feeling like a SALTY POTATO. And remember, drink sensibly gang. Check out the NHS website for more guidance about alcohol consumption. So there we have it! A few tips for anyone going on their holidays this summer and want to keep fit and healthy. All in all, do what your body is telling you. If you’ve smashed the gym the week before and just need a rest, do it! Life’s too short. Remember all my tips are based on my own experiences, and it’s about trial and error for all of us. So go out there, enjoy the sun, and stay healthy gang! 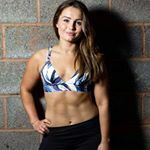 It would be great to hear what you guys get up to fitness wise on holiday, so hit follow and comment so I can take some tips from you! Fantastic post! I travel a lot for work, spending on average one to two months at a time away from home. Finding ways to still fit in a workout is so important! Traveling for work or fun its not hard to find a way to work out, and HIIT is for sure one of the best! Previous Entry DOMS: Walking is off the cards.